Albania is a country with one of the highest rates of migration, in recent years the desire to migrate rose to 56% among its adult population. 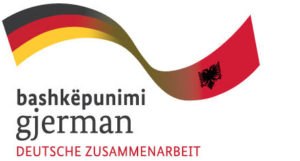 In Germany alone, by the end of the year 2016, the Albanian population was 43 695, more than a half of them categorized as persons seeking protection, out of which just 825 were recognized and 14 720 refused. However, from 2015, Albania is categorized as a “safe country of origin” and the Institute of asylum is no longer widely applicable. In 2017, Albanians still formed 3% (i.e., 22 075 applicants) of all asylum seekers in EU member states. Based on our ongoing project implemented in the Kruja region, the majority of Returnees to Albania are asylum seekers, whose applications were denied – most of them from Roma and Egyptian minorities, but not exclusively. Due to this, Albania is facing a new phenomenon: the return of rejected asylum seekers. Additionally, considering the high rate of legal or illegal migration for employment or education purposes and their expected returns, the local institutions are not prepared to attend to them. The core problem is that there is no suitable policy nor means of addressing the issue of returnees. The local public authorities do not act with proper structures or capacities to monitor and manage the migration influx. The service provided falls under the general scope of the Public Social Service or Labour office. Due to the lack of public awareness, the service provided by Migration Counters is barely known and searched for. Only 289 returnees were registered at Migration Counters in 2016 and 89 in the first trimester of 2017. Yet, once contacted, returnees’ expectations were not met. This makes the situation hardly manageable as the information regarding migration inflow is mostly transmitted by word of mouth. All these factors and the lack of psycho-social support for returnees slow down the reintegration process and impact both legal and illegal returnees’ re-emigration efforts. The “Return to Thrive” project launched in January 2019, financed by the German Federal Ministry for Economic Cooperation and Development (BMZ), aims to enhance the engagement of public institutions in migration management on one hand, and to support Roma and Egyptians in accessing public services, education and/or labour market on the other, as the majority of Returnees are of Roma and Egyptian origin. Following this objective career counseling for adults, and literacy and numeracy classes are provided to returnee children and adults. The classes are given in the premises of community centers based in the Roma community in Fushe-Kruja and Durres. The project activities represent the social component complementary to interventions by the DIMAK and ProSEED programmes implemented and envisioned in the regions of Durres and Kruje.